Palazzo Bo is known throughout the city as the “Bo”, which derives from Hospitium Bovis, its Medieval Latin name meaning “The Bull Inn”. The inn was bought by the university in 1539 and has been renovated many times over the centuries. Hundreds of stone coats of arms adorn the walls of the building’s recently restored Old Courtyard (Cortile Antico) commemorating the university’s past students and professors. A statue of Elena Lucrezia Cornaro Piscopia also stands in the courtyard. In 1678, she became the first woman in the world to be awarded a degree, an honour that belongs to the University of Padova. On the first floor lies the Sala dei Quaranta (Hall of the Forty), which was built in 1942 to commemorate the scholars who flocked to Padova from across Europe. The hall is home to “Galileo’s Lectern”. Tradition holds that it was built by the university’s students so that the great scientist could give his lectures in the Aula Magna, the only room large enough for the crowds who came to hear him speak. It was in Padova that Galileo laid the foundations of modern science and he taught under the protection of the Venetian government. He recalled the 18 years he spent at the university (1592–1610) as the happiest of his life. One of the most impressive sights on this tour of Palazzo Bo is the perfectly preserved Anatomy Theatre, which was built in 1595. It was the first permanent building of its type anywhere in the world, as in the previous century similar theatres had been erected whenever needed and then dismantled. Corpses were dissected to teach anatomy, and the theatre is testimony to the high regard with which the university’s teaching was held in the 16th century. Illustrious anatomists, such as Andreas Vesalius, Gabriele Falloppio and Girolamo Fabrici d’Acquapendente, held lessons there, and Fabrici d’Acquapendente was instrumental in building the theatre. The old heart of Palazzo Bo blends seamlessly with the rationalism of architect Gio Ponti, who, in the 1930s and 1940s, called upon famed artists, such as Campigli, Pendini and Severini, to fresco the Rector’s offices. At the entrance to the New Courtyard (Cortile Nuovo) stands a statue of Aeneas’ helmsman Palinurus by Arturo Martini. The statue is dedicated to the partisan Masaccio and commemorates the Italian Resistance movement. The Sala dei Giganti (Hall of Giants) in Palazzo Liviano can be visited on a separate tour. The hall is all that remains of a palace owned by the Carrara family, Padova’s 14th century rulers; it once contained a cycle of frescoes based on De viris illustribus (On Famous Men) by Petrarch, but today a fresco of Petrarch is the only original work to survive after the hall was destroyed by fire. Artists Domenico Campagnola and Stefano dell’Arzere painted the hall with a stunning cycle of new works in the 16th century. Sala dei Giganti has always been part of university life: once home to the university library (1631–1912), today it is a venue for conferences and concerts. Today, Palazzo Bo is home to the Rector’s offices, various departments and libraries, as well as the halls used for official university ceremonies and the discussion of dissertations. Visitors are free to wander around the courtyards, but anyone wishing to see the Anatomy Theatre, Sala dei Quaranta, Aula Magna and Sala di Medicina must book a guided tour. The Sala dei Giganti is opened for concerts and events, but otherwise may only be viewed as part of a guided tour. Guided tours are available for groups of ten or more and can be booked at Palazzo Bo or at the Sala dei Giganti. 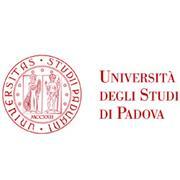 With branches all over the Veneto Region in Italy, Padova University is a great centre of multidisciplinary studies with a long and prestigious tradition in Europe. Here scientists of the calibre of Galileo and poets such as Ugo Foscolo were able to study in total freedom. This tradition of freedom continues today: in 2013, the National Agency for University Evaluation recognised Padova University’s scientific projects as the best in Italy for relevance, originality and international importance. Since its foundation in 1222, Padova University has been a hothouse of research, experimentation and progress, boasting famous ex-alumni such as Francesco Guicciardini and Pico della Mirandola, and teachers such as Galileo, Falloppio, Vesalio, Morgagni and Harvey. Padova University has always attracted celebrated European scholars, a mark of its international outlook and the importance of its contribution to Science and Culture. Indeed, some of the twentieth century’s greatest achievements were initiated by Padova scholars: from Enrico Bernardi, who developed the petrol-fuelled piston engine, to “Bepi” Colombo, “the celestial mechanic” who worked on the launch of the Giotto Mission spacecraft; from Melchiorre Cesarotti, who translated Homer and Ossian, to Vittore Branca, who discovered the Decameron manuscript, and to the linguistic and philological school of Folena, Tagliavini e Pellegrini; from academics, such as the Latin scholar Concetto Marchesi or Egidio Meneghetti, who helped develop chemiotherapy pharmaceuticals, to jurists, such as Alfredo Rocco and Enrico Opocher; from the philosopher Norberto Bobbio to the poet Diego Valeri; from the mathematician Tullio Levi Civita, whose work provides the mathematical structure at the base of Einstein’sTheory of General Relativity, to the surgeon Vincenzo Gallucci, who carried out the first heart transplant operation in Italy in 1985. 1545 saw the foundation in Padova of the world’s first University Botanical Gardens, which today are a UNESCO World Heritage Site; one of the earliest anatomical theatres was inaugurated in 1594, promoted by Girolamo Fabrici d'Acquapendente; and in 1678 Elena Lucrezia Cornaro Piscopia became the first ever woman to graduate from a university. Academic tables have put Padova University in the country’s top positions for the quality of teaching, research and services. In 2013 the National Agency for University Evaluation judged Padova to be the best large Italian university for the relevance, originality, innovation and international impact of its research. The numbers of the University speak too of its importance: 65,000 students, over 2,100 teachers, nearly 2,200 administrative staff, 12,000 graduates per year, over 5,000 study grants, 32 departments, over 2 million books in 38 libraries, 81 laurea triennale courses, 83 laurea magistrale courses, 8 laurea a ciclo unico courses, 70 Masters courses, 57 Schools of Specialisation, 35 Ph.D. Schools. Padova University has close ties with 166 universities in 65 countries, and this internationalism is underlined by the growing number of courses held in English: 8 laurea magistrale courses and 7 Masters courses are taught entirely in English. There is also the School of Excellence, la Scuola Galileiana di Studi Superiori, which every year selects the top 24 students, who can choose between classes in Moral Sciences or Natural Sciences. Universa universis patavina libertas: forever free, forever at the forefront of international research.